Last week I started the online Sacred Pregnancy retreat training. This has been on my wish list of things to do for a long time and it shows up on my 100 Things list for the year as well. I purposely waited until this training though, rather than doing the earlier spring training, because of how it corresponds to my pregnancy. I’m 29 weeks today and in the third trimester! (What happened?!) I really want to experience this class from the perspective of Pregnant Woman as well as facilitator. I need some “time out” to focus on my new baby and to just be together with him and the process of being pregnant instead of caught up in the rest of my schedule. I feel like this online retreat class is a gift to myself. I remember as far back as my second pregnancy feeling like I needed something more. The regular old birth books and charts of fetal development and nutrition facts and birth plan worksheets didn’t cut it anymore (do they ever?). I had the same experience in teaching birth classes–yes, I could cover stages of labor and birth positions, but what about the heart of birth. What about the “mystery”? What about those unknown lessons in excavating one’s own depths? What about that part of birth and life that only she knows? 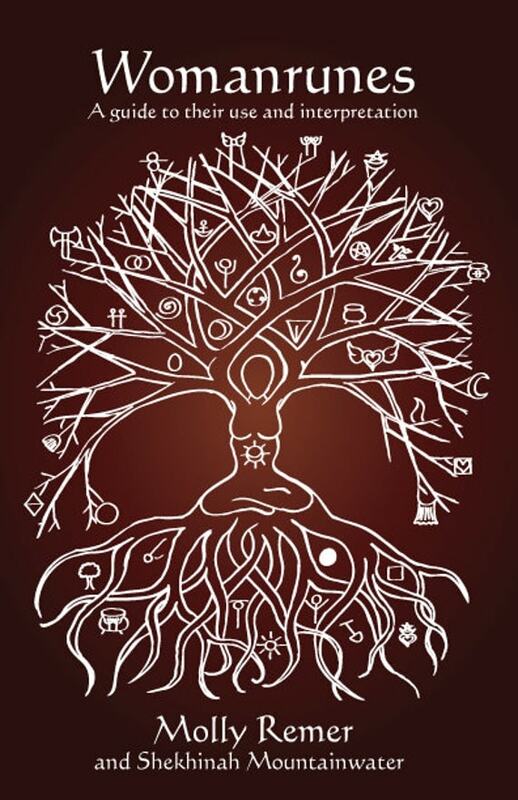 I find that Birthing from Within speaks to this heart of birth and so does Sacred Pregnancy. The first part of the class is about creating sacred space and about creating a “pregnancy practice.” and I really wanted to make my candle and altar for and with my new baby and so that’s what I did. It was very valuable to me to center inward, in this way that I’ve been needing for a while now. I worked on the candle with Alaina’s help, even though I originally envisioned working on it alone. I created a red candle because I already made a tall white intention candle at the beginning of the year and collaged it like my “vision board” for the year, so I wanted to do something different for this experience. I used amethyst beads around the top because I have felt a strong attraction towards amethysts during this pregnancy. 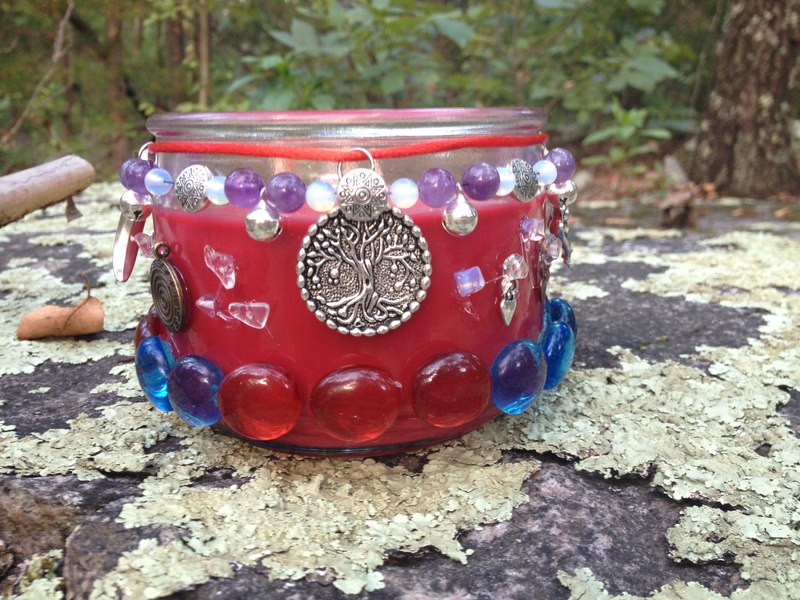 I used beads and charms from Brigid’s Grove, with the tree as a center point because it is an important symbol for us. The is a deep connection between this baby, the progress of my pregnancy, and the development and growth of our shared business. I chose red because it is a “power color” to me and reminds me of the blood, potency, and energy of birth as well as of the placenta. 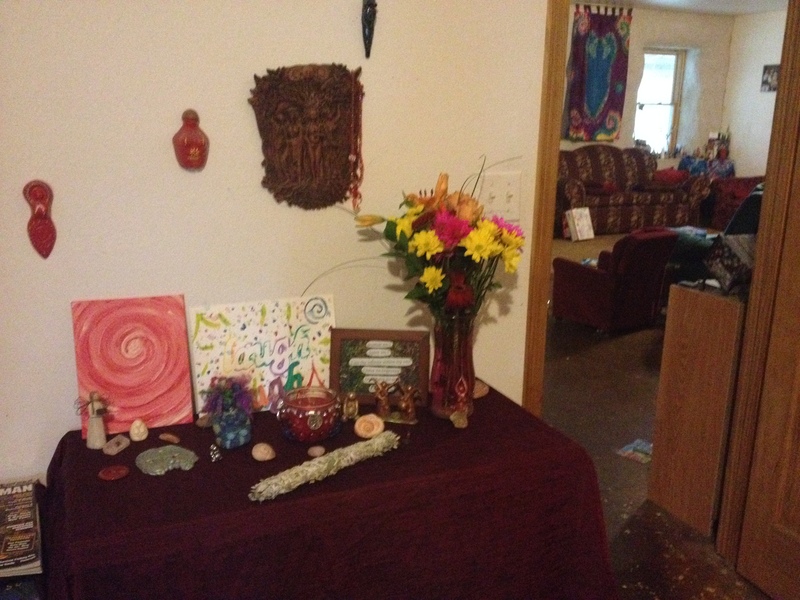 I’ve gotten much better over the last year or so at intentional altar building and really delighted in the creation of my sacred space while listening to the recorded lessons for the class and also the Sacred Pregnancy CD. The CD is awesome and I wish I would have purchased it a long time ago! It is just what I need to incorporate some sacred pregnancy, centering, and “pregnancy practice” into my day. I like how I can turn on a favorite song while brushing my teeth, for example, and have that ordinary moment be transformed into a body-honoring, self-care, pregnancy “tune in” moment. I bought a very powerful song, Birthright, from her second CD as well. 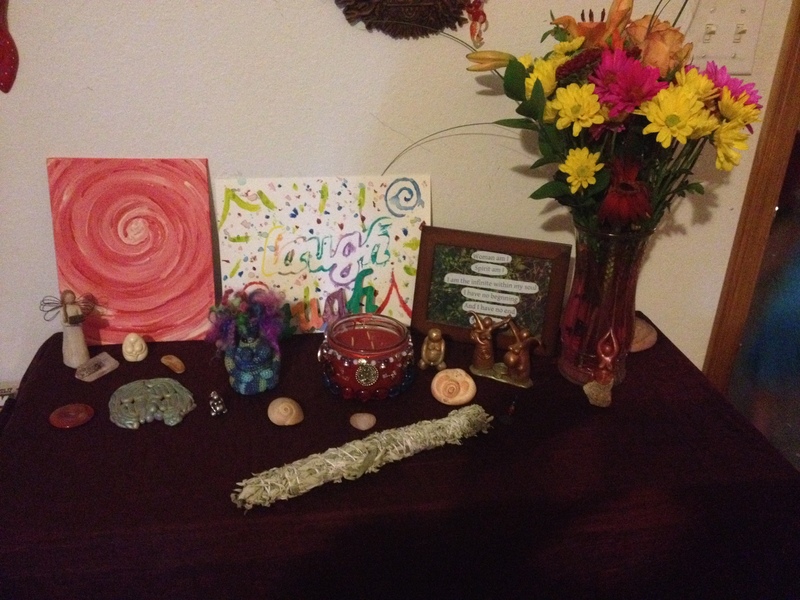 On the altar I put items that are special to me from past blessingways, as well as sculptures that I’ve made. I also painted a little wooden sign that says “laugh,” because I feel like in all my big push to finish so many projects before I have the baby, I’m not having very much fun! The paper I painted the wooden sign on show the outline of the letters and that is the part that actually shows up in this picture (the wooden part is behind the candle and at the bottom of the white “laugh” painting).